Enjoy the show “Who Do You Think You Are”? Would you like to build the same kind of story for your family? 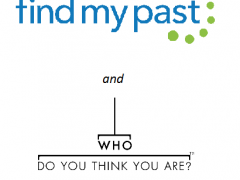 Thanks to FindMyPast and Wall to Wall, you’ll soon be able to do just that!